• The infrastructure for cloud-connected digital services that enables the delivery of cloud-based connected apps, analytics, services, control and monitoring. The next generation of EcoStruxure leverages on connectivity and data to create controls and actionable business insights, and combines the power of analytics and closed-loop applications. The advanced value fosters open innovation and interoperability and is developed in partnership with leading standards organizations and best-in-class technology leaders. EcoStruxure provides cloud-based tools to make it easy to automate more reliable maintenance operations and monitor energy consumption through a dashboard. 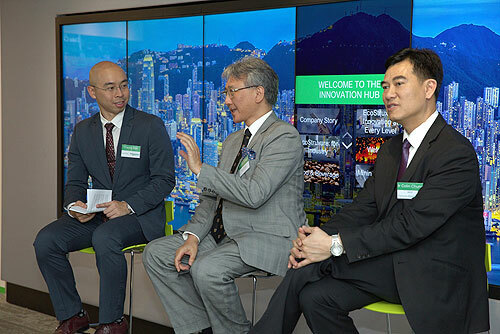 Mr Travis Kan, Director of Business Development of Schneider Electric Hong Kong (left), Ir Cary Chan, Director of Hong Kong Green Building Council (middle), and Ir Colin C L Chung, Managing Director of Sustainable Development and Environment, China Region, WSP/ Parsons Brinckerhoff (Right) exchanged insights on local issues and challenges in building and energy management at the event. Ms. Rerina Or, President of Schneider Electric Hong Kong (Left two), Mr. Travis Kan, Director of Business Development of Schneider Electric Hong Kong (Right two), in a group picture with honorable guest speakers, Ir. Cary Chan, Director of Hong Kong Green Building Council (Left one) and Ir. Colin C.L. 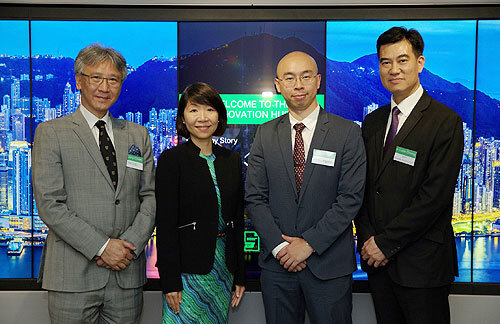 Chung, Managing Director of Sustainable Development and Environment, China Region, WSP / Parsons Brinckerhoff (Right one) in the launch of next generation EcoStruxure in Hong Kong. 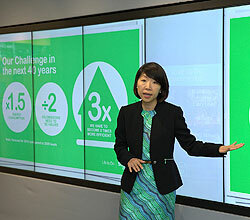 Ms Rerina Or, President, Schneider Electric Hong Kong shared the views on global energy challenges and how overall EcoStruxure strategy incorporates technological evolution on IoT to best address the needs of energy management. 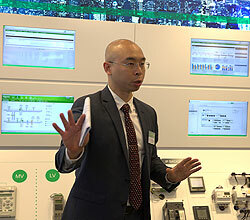 Mr Travis Kan, Director of Business Development of Schneider Electric Hong Kong showcased IoT-enabled energy management solutions of the new generation EcoStruxure, with demonstration on EcoStruxure Power and EcoStruxure Building. 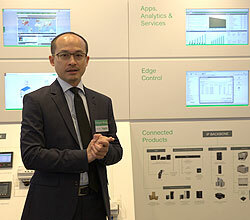 Mr Fergus Wong, Business Development Manager, Strategy and Marketing of Schneider Electric Hong Kong demonstrated the solution of EcoStruxure Data Center.